‘Joint venture’ is recognised as a legal concept in Switzerland, although there is no statutory definition of this term or a body of law that is exclusively applicable on joint ventures. Swiss joint ventures take two distinct forms depending on their legal structure: contractual joint ventures and equity or corporate joint ventures. The advantages and disadvantages of these two types originate predominantly from the fact that in one case the joint venture parties can act through a corporate structure. Contractual joint ventures often (but not always) qualify as simple partnerships in the sense of article 530 et seq of the Swiss Code of Obligations (CO) and are based on a set of relatively simple contracts. They allow for more flexibility in terms of formation, operation and termination than equity joint ventures. On the other hand, it is not always in the interest of the joint venture parties to operate as a group directly in the respective market and there is no limited liability. In contrast, equity joint ventures include an independent legal entity that is often established for this very purpose. This means that mandatory Swiss law rules applicable to the formation, operation and termination of the joint venture company will have to be observed. While this is not particularly onerous to the joint venture parties, it is still a factor to consider. The equity joint venture has its main benefits when the common goal requires a distinct entity for marketing purposes or dealing with third parties or limited liability is a key concern. Joint ventures are used in a variety of sectors in Switzerland, such as construction, heavy industry, beverages, transport, sports marketing, energy and media. Swiss law does not distinguish between foreign and domestic joint venture parties and it does (certainly) not prohibit or complicate cross-border joint ventures. However, if the joint venture conducts a regulated business, foreign involvement may be subject to certain regulations. For example, control of a Swiss bank by foreigners requires a special permit and the direct or indirect acquisition of real estate used for living accommodation purposes by non-residents is subject to approval. In addition, nationals of third-countries outside of the European Union and the European Free Trade Association (EFTA) are subject to an immigration regime under which only a limited number of work permits are available. Therefore, joint venture parties from outside of the European Union and EFTA may find it difficult to staff a joint venture company with workforce from their country of origin. However, highly trained employees and specialists will usually receive a working permit (see question 15). In the majority of cases, Swiss equity joint ventures are companies limited by shares (AGs). Any person who acquires shares in an AG that is not listed on a stock exchange and thus reaches or exceeds the threshold of 25 per cent of the share capital or votes (alone or acting in concert) must, within one month, give notice to the company of the first name, surname and address of the natural person for whom it is ultimately acting. The structure of the joint venture is mainly driven by the joint venture parties’ needs. Contractual joint ventures are not subject to taxation, offer full tax transparency, and profits and losses incur directly to the joint venture parties. In the case of an equity joint venture, the incorporation of the company is subject to Swiss stamp duty of 1 per cent of its nominal share capital exceeding 1 million Swiss francs. This stamp tax duty may be mitigated, if the joint venture entity is established by contribution in kind of parts of the joint venture parties’ businesses. Corporate profits are taxed on a federal, cantonal and communal level. The federal profit tax rate is 8.5 per cent (effective tax rate 7.83 per cent). Tax rates vary between the 26 cantons and between the communes within the cantons, which allows for tax planning. Overall effective profit tax rates (2017) are between 12.43 per cent (canton of Lucerne) and 24.16 per cent (canton of Geneva). Many cantons have announced that they will lower profit tax rates owing to Corporate Tax Reform III (eg, canton of Geneva to 13.49 per cent). Capital tax is raised on the company’s equity at variable rates depending on the canton where the company is domiciled, but it usually below 5 per cent. A company may apply for a tax holiday if certain conditions are met. Tax incentives are granted on a case-by-case basis and their extent and duration largely depends on the size of the investment and the importance attributed to the economic development of the canton or region concerned. Such incentive may be either relief or exemption from income and annual capital tax for up to 10 years. Overall, the joint venture parties should carefully analyse the situation and obtain tax advice before they establish the joint venture entity. The Swiss tax regime is very competitive. Searching for a beneficial tax structure within Switzerland will most certainly lead to an attractive result. There are no restrictions on the contributions of assets to a joint venture entity, provided that the relevant assets are tradable, available to the company immediately after the contribution, can be capitalised in the balance sheet and the company can liquidate them, if necessary. Contrary to foreign jurisdictions, obligations of third parties to provide services to the company are not considered contributable assets. The articles of association (constitution) of the joint venture entity and the agreement between the joint venture parties are in principle separate items and they do not directly interact with each other. It goes without saying that the joint venture parties will mirror their agreement in the articles of association in order to safeguard certain aspects of their agreement. This includes, in particular, the purpose of the joint venture entity, maintaining the balance of power (ie, the shares the parties hold) between the parties, transfer restrictions of shares, the number of board members and the overall composition of the board and termination of the company if a specific goal is reached. The extent to which this is possible is limited by applicable law. However, since the articles of association are publicly available in Switzerland, but the joint venture agreement is not (and there is also no requirement for registration), joint venture parties usually prefer not to include too many details in the articles of association. Additional organisational matters are usually included in the organisational by-laws, which is an internal document. Conflicts between the articles of association and the agreement between the joint venture parties often create a conflict of interest for the board (see question 12). If the joint venture entity is an AG, the joint venture parties will typically be the shareholders and benefit from all of the shareholders’ rights, including the right to obtain the annual report and the audit report (article 696 of the CO) and the limited right to information (article 697 of the CO), which may only be refused where providing such information would jeopardise the company’s trade secrets or other interests warranting protection. Under certain circumstances, the board of directors will want to withhold some information if this is required in the interest of the joint venture entity. However, the board of directors may in principle share all information with the shareholders informally as long as all shareholders are treated equally, there are no conflicts with the interests of the joint venture entity and the information is not restricted for other reasons (eg, data protection in relation to customer information). In any event, each joint venture party should ensure that it may nominate a board member. By contrast, in contractual joint ventures the parties have a right to information on the status of the joint venture’s affairs, to inspect its books and documents and to obtain a summary statement of its financial position (article 541 of the CO). For the protection of the joint venture parties, the joint venture agreement may, for example, require that shareholders’ meetings are duly constituted only if all shareholders (ie, joint venture parties) are present in the meeting or that specific decisions require an elevated quorum (for example, changes to the joint venture vehicle, such as liquidation or a merger or changes to the capital structure). Further, casting votes in favour of a joint venture partner can be provided for in the agreement in case of a deadlock situation (see question 21). Minority shareholders do not enjoy particularly strong protection under Swiss law; however, any shareholder - including minority shareholders - may challenge the validity of resolutions that violate statutory law or the articles of association. 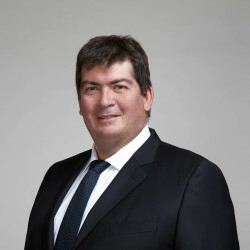 In addition, the joint venture agreement can provide for additional protection of minority investors by, for example, requiring consent of all joint venture parties for particularly important decisions, such as decisions relating to capital expenditure exceeding a specified amount or the sale of important assets. Joint venture corporations face different governance challenges than, for example, public companies. While public companies may be concerned with stopping self-dealing, the major goal of a joint venture will be to balance the goals of the joint venture undertaking with the individual goals of the partners. Balancing these interests may become a challenge where the founders of a joint venture have representatives on the board of directors and these representatives endorse the interests of the founders (see question 12). Independent committees and codes of conduct can be used to level out the interests. Further, specialised committees may be helpful, especially where the joint venture engages in the technology or manufacturing business. Focusing on technical issues and resolving disputes relating to technical matters can then be dealt with by such committees. The members of the board of directors of a Swiss AG are elected by the meeting of shareholders. From that perspective, a board member nominated by a shareholder is no different than his or her fellow board members. In practice, such a ‘nominee director’ often has an agreement with the appointing shareholder, which may result in conflicting duties towards the appointing shareholder on the one hand and the joint venture entity on the other. When the nominee director decides within his or her margin of discretion, it is considered acceptable that he or she acts based on the instructions of the appointing shareholder. If, however, there is a conflict of interest, the interests of the joint venture entity must take precedence or the ‘nominee director’ may incur personal liability. This risk can be mitigated to expressly define the support of the joint venture business as a purpose of the joint venture entity in its articles of association. Generally speaking, two types of joint ventures can be distinguished from a competition law perspective. They are subject to different competition rules. at least two of the undertakings concerned each reported a turnover in Switzerland of at least 100 million Swiss francs (article 9 of the Federal Act on Cartels). If the joint venture has no sufficient connection to Switzerland (ie, the joint venture has no intention to operate and generate turnover in Switzerland), a notification may not be required. This should, however, be discussed with the competition authorities in each case. Cooperative joint ventures are joint ventures that are not full-function joint ventures. These are assessed under the rules applying to horizontal agreements. Such transactions can be notified pursuant to article 49a of the Federal Act on Cartels prior to their implementation. Generally, the provision of services to the joint venture entity should not create particular issues, to the extent that the board of directors does not outsource its non-transferable and inalienable duties (eg, the overall management of the company, the organisation of the accounting, financial control and financial planning systems as required for the management). In general, Swiss employment law is of a very liberal nature. This means that an employment contract can be terminated on whatever grounds there may be, which also applies in a joint venture situation. However, an abusive termination may lead to penalties and damages. The Swiss jurisdiction provides for a dual system for the granting of residence and work permits to foreigners, which distinguishes between EU and EFTA nationals (based on the Agreement on Free Movement of Persons) and non-EU or non-EFTA nationals (ie, ‘third-country nationals’). EU or EFTA nationals only require a work permit for gainful employment lasting for more than three months, irrespective of their qualifications. By decree of the Federal Council, qualified employees from third countries are admitted to the Swiss labour market in limited numbers, only if they are well qualified and fulfil certain statutory requirements, such as being a qualified employee. Statutory requirements include, among other things, providing proof that a person cannot be recruited from the labour market in Switzerland or another EU or EFTA member state. Certain exceptions can be made to the admittance requirements, for example for the transfer of cadre or specialists within international businesses or joint ventures. However, quotas for work permits exist on both the cantonal and the federal level and also apply to such exceptional work permits for qualified workers. As further described in question 17, all assets contributed to the contractual joint venture are then jointly owned by the joint venture parties. Therefore, intellectual property rights are often transferred to the joint venture by way of a licence agreement, whereby the ownership remains with the parties. However, it is also possible to transfer an intellectual property right to the joint venture entity as a contribution in kind. The valuation of a contribution of an intellectual property right in kind may pose problems in the event of the bankruptcy of the joint venture corporation or in the event the contributing party leaves the joint venture corporation. In both events, an initial under- or overvaluation may lead to liability towards creditors, shareholders or the leaving party. Regardless of whether the joint venture is organised contractually or by corporation, it is highly advisable to agree on the rights and obligations of the joint venture parties in relation to the ownership and use derived from the joint venture’s operations both during the operational life of the joint venture and in case of a termination of the joint venture. These should be clearly established in the partnership agreement or the licensing agreement. Joint venture parties should keep in mind that Swiss law provides for the employer’s ownership of inventions and designs created by employees (article 332 of the CO). In relation to contractual joint ventures, the joint venture agreement should specify the amount or kind of contributions to be made by each party, whereby such contribution can be made in the form of cash, assets, labour or services. Any contribution made to the contractual joint venture is jointly owned by the joint venture parties. Therefore, assets will often be transferred with the right to use or benefit while the ownership of the assets remains solely with the contributor. Usually, the contractual joint venture will cease to exist where one party exits the venture, but the parties are free to stipulate a deviation from that rule in the joint venture agreement. Therein, the parties may also stipulate how the assets contributed by the departing party shall be treated (ie, if they remain with the joint venture or if the leaving party shall be remunerated, in which case the amount of the remuneration or the method to calculate such remuneration shall also be stipulated in the agreement). Joint venture entities in the form of an AG must have a minimum registered share capital of 100,000 Swiss francs. Contributions can be made in cash or in kind, whereby the valuation of contributions in kind may be an issue. Subsequently to the initial capital contribution, the corporate venture can be funded by issuing shares or by incurring debt. Subsequent funding bears the risk of a dilution of voting rights. Further to traditional debt financing (ie, borrowing from banks), instruments such as venture capital and project finance or capital market instruments can provide the required funding. Moreover, the shareholders’ agreement of an AG may require the joint venture parties to provide further funding or guarantees. Any capital injection into a joint venture company, or distribution of profits or other extractions of cash are subject to mandatory Swiss law. Regarding capital injections, the Swiss CO provides for three types of capital increase: ordinary capital increase (article 650 of the CO), authorised capital increase (article 651 of the CO) and contingent capital increase (article 653 of the CO). Capital may further be injected into the corporation by way of capital contributions by shareholders (ie, payments without consideration). However, since no shares are issued following a capital contribution, the joint venture parties will usually ensure that each party participates in the capital contribution in proportion to its holdings in the joint venture entity. As for the distribution of profits, under Swiss law, corporate joint ventures may only distribute dividends on the basis of an audited balance sheet that has been approved at the shareholders’ meeting. Further, the dividend must either be paid out of accrued profit or distributable reserves, subject to the allocation of profit to the general legal reserves under statutory law. Generally, shareholders do not have a right to request a corporation to repurchase its shares and neither may the corporation deprive the shareholder of its shares. Certain exceptions to this principle do exist, for example in the event of a shareholder’s failure to fully pay up the subscription price (article 681 of the CO) or in the event of a squeeze-out (in the context of a public tender offer or in the context of a merger). The distribution of dividends is subject to 35 per cent withholding tax. Based on a double taxation treaty (if applicable), a full or partial refund of the withholding tax may be possible. For intra-group dividends, the notification procedure may be available. Switzerland has an excellent double taxation treaty network, since around 100 treaties are currently in place for income tax purposes. Interest payments on loans are only subject to Swiss withholding tax in the case of bonds, bond-like debts and collective fundraising. There is no group relief or consortium relief between the joint venture entity and the joint venture parties available. There are no noteworthy accounting or reporting issues. In an equity joint venture, the parties can give the chairperson a casting vote to unlock a deadlock at board level. However, in a 50:50 joint venture, this will give one party a considerable advantage. This effect can be mitigated by alternating the right of appointing the chairperson at regular intervals or by electing an independent person to the board who acts as chairperson. Sometimes, joint venture agreements provide for the appointment of an independent party who decides the dispute or to implement a joint committee of the joint venture parties (to the extent that the dispute does not relate to non-transferable and inalienable duties of the board or the meeting of shareholders) or even ‘Russian roulette’ and ‘blind bid’ clauses. However, the more innovative a solution appears, the higher the risk that it will not work in practice and lead to further issues. Unlocking a 50:50 deadlock is a delicate task and it is difficult to balance any solution with the concept of common control. Therefore, it is recommendable to prioritise simple solutions or alternative means to avoid conflicts. Joint venture projects usually include rather detailed ‘buy or sell arrangements’, which grant the parties the right or the obligation to sell their share in the joint venture entity upon the occurrence of certain, predefined events (eg, a breach of contract). The law does not restrict the mandatory transfer of shares or a specific basis for calculation. However, it may be necessary to enforce the respective provisions before court if there is a dispute between the joint venture parties. On the level of the joint venture entity, federal, cantonal and communal profit tax will become due following the realisation of all gains on hidden assets in case of a liquidation of the joint venture entity. Any distribution of dividends by the joint venture entity to its shareholders (including any transfer of assets that is not done at arm’s length) will be subject to 35 per cent Swiss withholding tax (see question 19). On a Swiss shareholder level, liquidation surpluses represent taxable income, unless they are a repayment of existing capital contributions. A participation exemption may be applicable to this income as well. In relation to the joint venture agreement, the parties are free to choose the applicable law and the method of dispute resolution (ie, courts of a particular state or an arbitral tribunal). if a ground for refusal according to article 27(2) of the Swiss Federal Code on International Private Law is established. If the joint venture parties resort to litigation and the arbitral award provides for a specific performance of the joint venture entity, such specific performance may not be enforceable. Instead, the joint venture agreement should provide for liquidated damages. As described in question 10, minority shareholders of an AG enjoy only few specific statutory rights. While Swiss law does not provide for their right to nominate a representative to the board of directors, minority shareholders do have the right to request a shareholders’ meeting or to request that an item be added to the agenda of the meeting, where the minority shareholders represent at least 10 per cent of the share capital or represent shares with a nominal value of 1 million Swiss francs, respectively (article 699, paragraph 3 of the CO). Minority investors are further protected by article 704 of the CO, which stipulates that double majority is necessary for certain important decisions in the shareholders’ meeting and by article 706 of the CO, which allows all shareholders to challenge the validity of shareholders’ resolutions violating statutory law or the company’s articles of association. By contrast, in contractual joint ventures where the parties have a simple partnership, the minority investors have, by default (and unless stipulated otherwise), additional rights (eg, resolutions are made with the consent of all partners, each party has an equal share in profits and losses regardless of the nature and amount of his or her contributions and each party has a right to receive information). In a contractual joint venture, each party is liable to the other parties for any loss or damages caused through his or her fault (article 538, paragraph 2 of the CO). Towards third parties, the partners have personal, unlimited, joint and several liability for obligations contracted jointly or through representatives, unless stipulated differently in the joint venture agreement (article 544, paragraph 3 of the CO). Restriction of liability is only possible where a party expressly acted in its own name. However, such liability among the parties is not given where a party acted tortiously. they knowingly contribute to the acceptance of subscriptions from insolvent persons. As a consequence of the limited liability, shareholders will at most lose their proportion of the share capital in the case of bankruptcy of the corporation. However, it is worth mentioning that the shareholders may have entered into a pooling agreement, in which case they constitute a simple partnership among themselves. Swiss law does not provide for a pretrial disclosure. Rather, the parties determine which evidence they will present to the court in their written briefs. If such a document is, however, in the possession of the other party, the court may order production on request. Pretrial requests are only possible where evidence may become unobtainable over time or where one party has a legal duty to produce documents. Under Swiss law, certain individuals (a party’s family members and certain professionals, such as attorneys or journalists) are not required to give testimony or to produce documents. However, these privilege rights differ in scope. In-house counsels (including attorneys working in an operating joint venture) do not benefit from this legal privilege. The Swiss jurisdiction offers a quick and easy system for establishing joint venture companies and the necessary flexibility to create a joint venture agreement tailor-made for the joint venture parties’ needs. A favourable tax regime and easy access to qualified workforce are also incentives for establishing a joint venture in Switzerland. 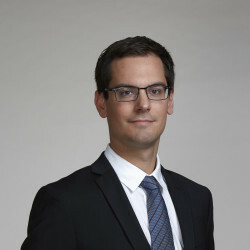 A joint venture entity is subject to mandatory Swiss corporate law, which may limit the structure the joint venture parties would like to implement. For example, article 716a of the CO lists a number of non-transferable and inalienable duties of the board of directors, such as the overall management of the company, the determination of the company’s organisation and notification of the court in the event that the company’s balance sheet shows negative equity. This concept of self-management of a company does not always go well together with a joint venture: if the joint venture parties are in agreement, the board will, to a large extent, execute decisions made elsewhere. If the joint venture parties are in disagreement, the board may find itself in a deadlock situation. However, this issue is mitigated by the fact that article 716a of the CO is applied rather selectively. Overall, it seems that these issues are not really a problem in practice.